Outlook: He joins Freo from Essendon, where he struggled to make a consistent impact in the past two seasons. Gumbleton is clearly talented and had been burning up the track in the pre-season. Unfortunately, he injured his hamstring in the NAB Challenge and will miss much of the first half of the home and away games. 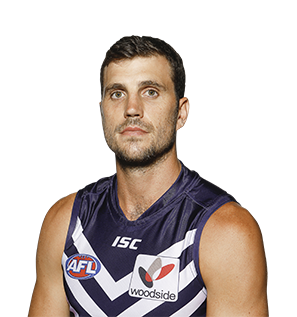 AFL Fantasy: You can't consider him until he returns from injury. He could be a good downgrade target at mid-season.